Southern California steelhead (Oncorhynchus mykiss) smolt (downstream migrating juvenile). The silvery coloration and loose scales are indicative of physiological transformations that allow these fish to migrate into saltwater habitats. Quantifying ecosystem services can be challenging, particularly in the context of groundwater and surface water management—as human populations expand, droughts increase in severity and duration, and costs for water resources climb, determining the degree that freshwater ecosystem health will be traded for water security becomes increasingly contentious. Adding endangered species to the mix further muddies the waters, particularly when the basic natural history needs are poorly parameterized. In the Santa Clara River watershed of southern California, steelhead face a variety of challenges as they complete their anadromous life cycle, including a spatially intermittent mainstem, substantial year-to-year variation in the timing and availability of contiguous flows, physical barriers to fish passage, as well as water diversion for human use. Unlike the rest of southern California, which relies on imported water, local rainfall (and subsequent natural and human-mediated infiltration to groundwater) provides the majority of water budget for the Santa Clara watershed. 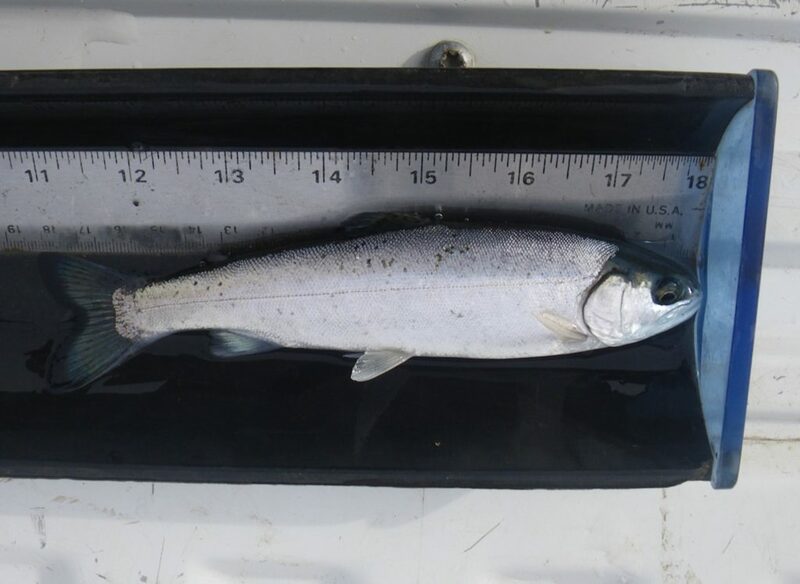 Our work, in collaboration with United Water Conservation District (a groundwater management agency in southern California) is to understand the life history needs of downstream migrating juvenile steelhead smolts and use this information to inform the development of balanced instream flow budgets for fish migration and groundwater management. 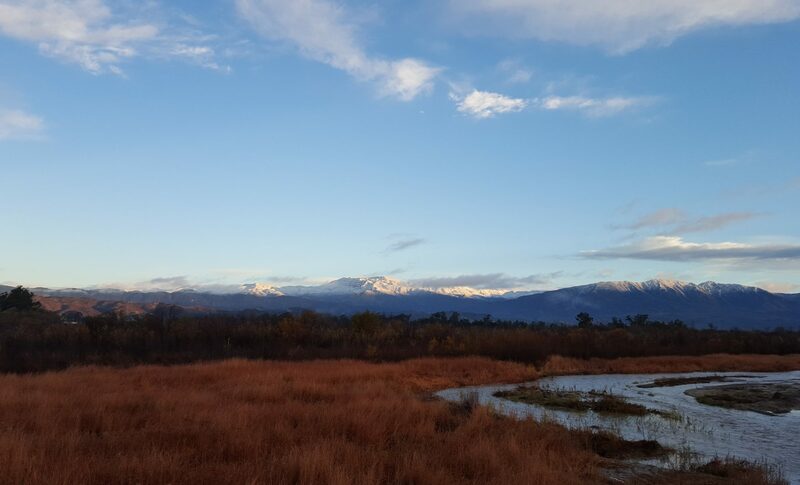 The lower Santa Clara River is a wide, sandy channel that may present fish passage challenges at low flow. Lack of overhead cover, warm water temperatures, and predators may severely restrict fish migration, particularly in riffle sections, where flow depths are often very shallow.